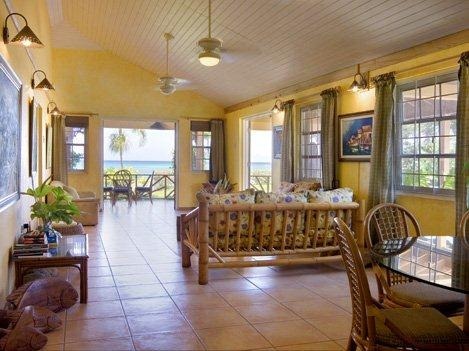 Bay Watch is a lovely seaside cottage which has contemporary, tropical decor and is situated on the white sugary sands of Runaway beach. 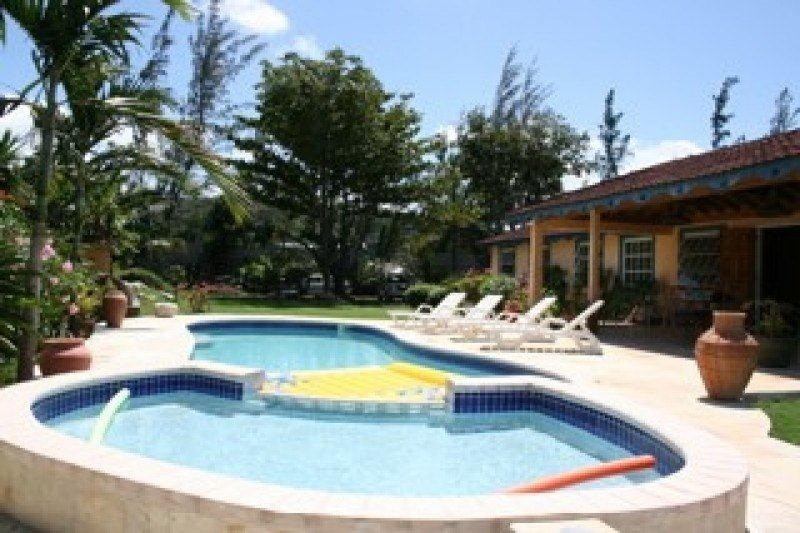 B This is a new 5 bedroom villa which sits on prime waterfront property. It is located only 5 minutes walk to the famous Breezes SuperClubs. Amenities include color TV, DVD player, DVD library, DC/tape player, telephone. 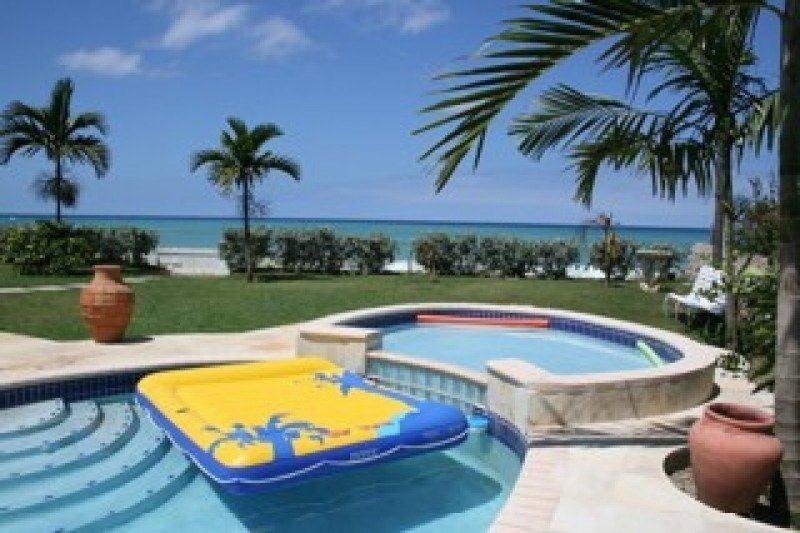 For this family friendly villa, there is a crib and high chair available if required. 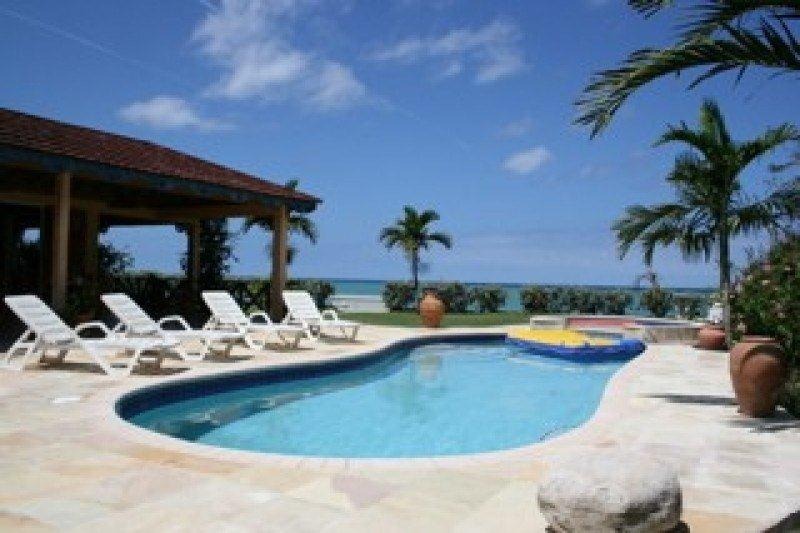 This villa offers the comforts home, very tropical in colors and freshly contemporary in style. 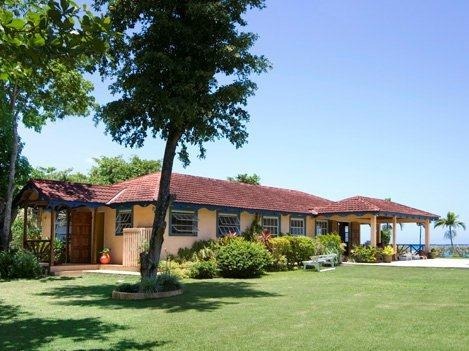 There is a large L-shaped verandah which takes advantage of the waterviews, and a great place for relaxing in a hammock or just sitting on the verandah and enjoying drinks, having lunch or dinner infront of these views are spectacular. 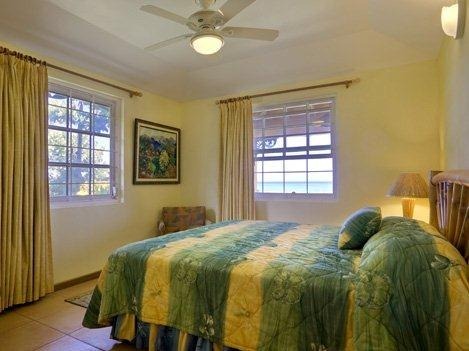 The main house in Bay Watch has 3 bedrooms, all are air-conditioned, and have ceiling fans for your comfort. All bedrooms have ensuite bathrooms. 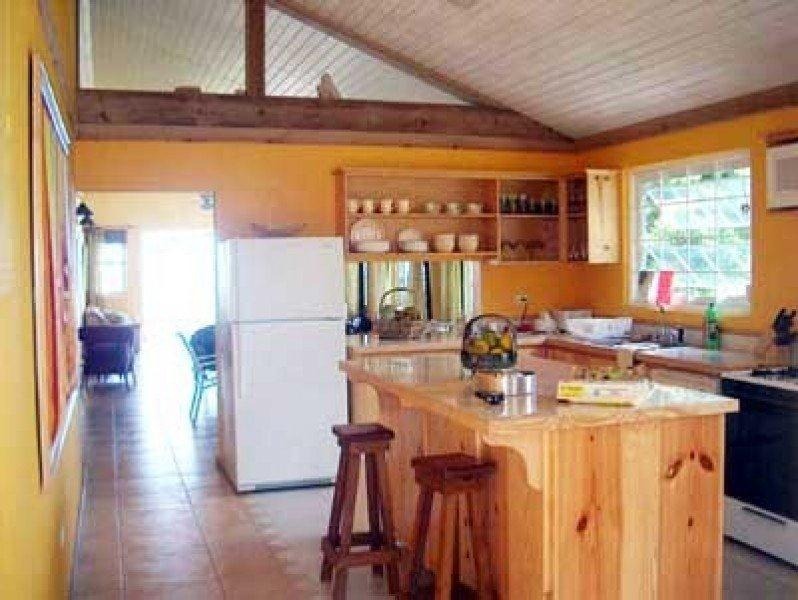 There is a newly built annex next to the main house and this is composed of 2 bedrooms, two bathrooms and a loft perfect for young ones to sleep. Bay Watch is located between Montego Bay and Ocho Rios. Drive 15 minutes east of Ocho Rios and you have access to swim with dolphins at Dolphin Cove, Jamaica's famous Dunn's River Falls, Chukka cove adventure tours, duty free shopping, local art and craft markets, the new Island Village shopping center for cinemas and the live and jumping Jimmy Buffets Margarittaville. 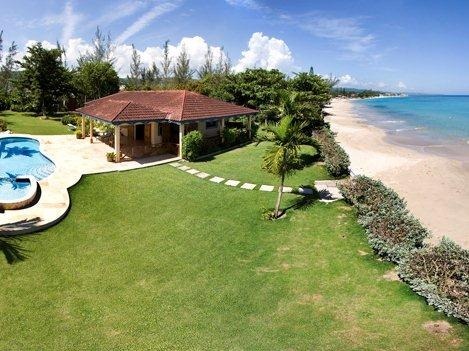 Bay Watch is located only minutes away from Breezes golf course, scuba diving, horseback riding and much more. 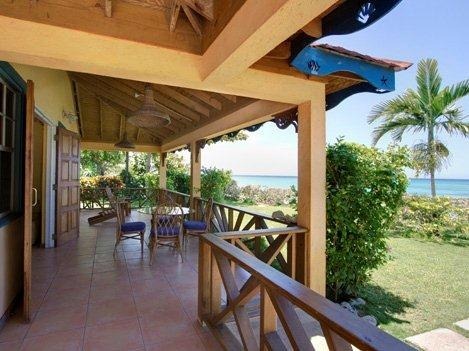 Bay Watch can also be rented with the adjoining Siesta a 5 bedroom villa, and Bay Watch a 1 bedroom plus loft for a total of up to 11 bedrooms. 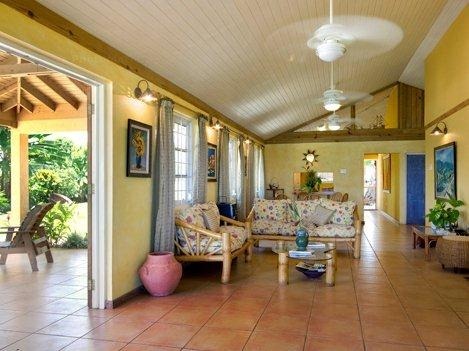 These villas can also both be rented separately. There is a full staff of housekeeper/cook and beach person. Bedroom Master: 1 King bed: Air-conditioning, en-suite bathroom with bathtub and shower combination, ceiling fan, linens and towels. 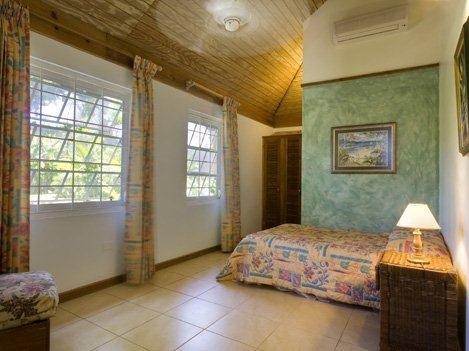 Bedroom 2: 1 King bed: Air-conditioning, en-suite bathroom with bathtub and shower combination, ceiling fan, linens and towels. 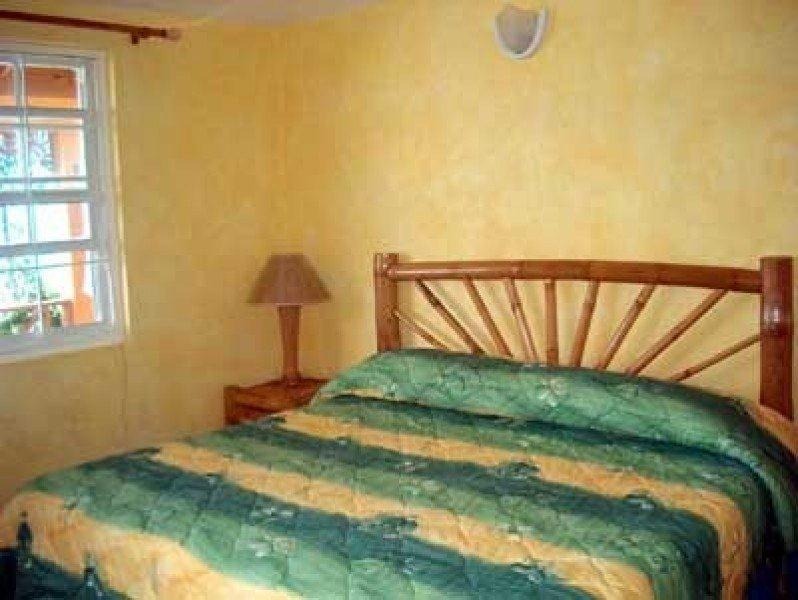 Bedroom 3: 1 Queen bed: Air-conditioning, en-suite bathroom with bathtub and shower combination, ceiling fan, linens and towels. A two bedroom Annex is directly across the paved terrace. The annex can accommodate up to 6 additional guests in two bedrooms and a loft. 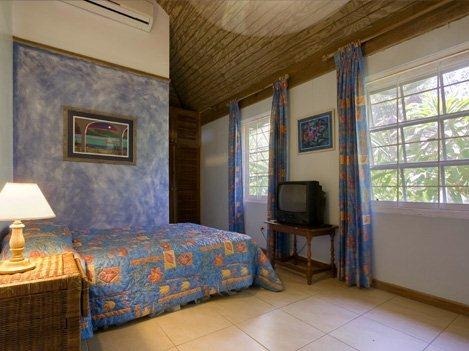 The bedrooms have ceiling fans and are also air conditioned. Bedroom 1: Queen bed with bath and shower combination. Bedroom 2: Queen bed with bath and shower combination, plus a 2 person loft. 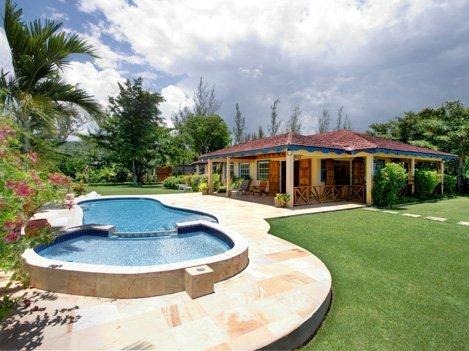 SIESTA and BAYWATCH are available only at their 5 bedroom WINTER rates for HOLIDAY and HIGH DEMAND periods - Easter, Jamaica Independence/Emancipation, USA Independence and Thanksgiving. The properties are NOT available for the Christmas and New Year period - Dec 22, 2018 to Jan 5, 2019.